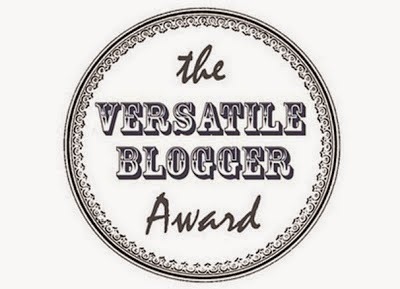 I have been award 'The Versatile Blog Award' by Books Bones and Recipes. Thank you for the award - it was really nice of you to consider and nominate me! The aim of this award is for bloggers to connect with other bloggers and so you can learn a little bit about them. 2. Share 7 interesting facts about you. 3. Nominate/Award 10 other bloggers to connect with. 1. I'm originally from Scotland but I moved to England more than 3 years ago. 2. I've been blogging since June last year and I am overwhelmed at the welcome I got to the blogging community! It's been amazing so far! 3. I love chicken - chicken is the best food in the world! 4. I live in shared accommodation with 6 other people in a 3 floored house hopefully by Christmas this year I'll have my own house. 6. When I worked in a Polish warehouse I started learning Polish - so I can speak some Polish. 7. My music taste is out of control!